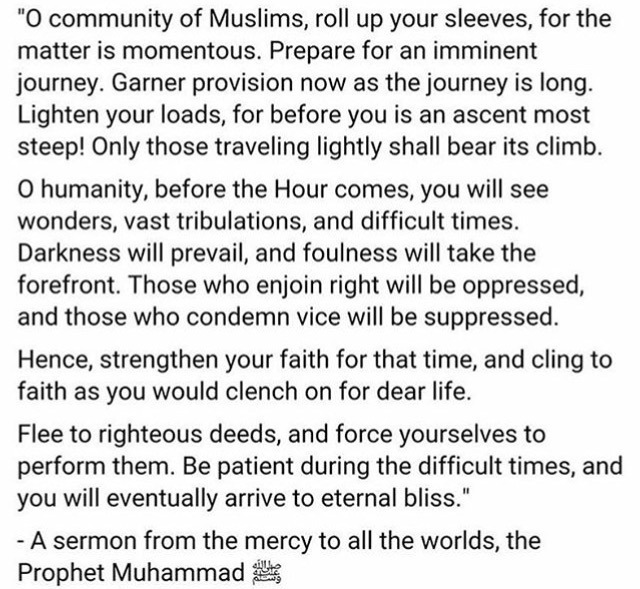 While emotions are at an all time high after the senseless terrorist shooting on Sunday at Centre Culturel Islamique de Québec (Grande Mosque) in Québec City that claimed the lives of six Muslims, the truth is coming out in a massive wave of eruptions across social media. We have lived in a state of denial for far too long and this evil act is just a sad physical manifestation of that denial. Now is the time to change our terrorized thought process and speak truth, instead of the filtered, apologetic, ineffective excuses we have been spouting just so that we could feel more secure. When truth fell upon our ears we chose to cover them and not let it infiltrate our minds and hearts, just so we could keep working and playing in comfort without conscience. Well, playtime is over and reality is yet again knocking on our door begging us not to just bandage it up this time. It calls on us not to just activate for the time being and then let it fade into the background again. It is not perseverance when we ignore the issues that our community is facing time and time again. It is ignorance. We live in terror. Accept it, so that we can begin to change and bring change. We were terrorized long before President Donald Trump came stomping on to the scene, we just didn’t want to face it or think about it. Unfortunately, we don’t realize that we are not just terrorized from outsiders, but from within as well. As Muslims, all across the globe, most of us live in a constant state of fear and surrender. We follow the majority blindly thinking it must be what’s right, but in reality we do it, because it’s what’s easy. When our Brothers and Sisters were suffering heinous acts of terror across the world, we chose not to listen to the warnings and patted ourselves on the back for pushing our governments to act from behind our protest signs, computers and phones. We chose to show our soft and submissive side again and again, believing that they were afraid of us, that we had to pacify them somehow without realizing we had done nothing to deserve such a label. In reality, we were the ones terrorized through a constant threat of persecution and rejection, forced to compromise our beliefs just to prove our loyalty and further validate their privilege. Where has it led us? We were told that this wave of evil would wash up on our shores if we didn’t change our attitudes and turn back to Allah. We shut those doors again and again touting conspiracy theories and calling the informers mentally unstable, because the idea of changing was too difficult for us to digest. Somehow, we had convinced ourselves that it could never happen to us, just like the people suffering in Syria had convinced themselves that it could never happen to them. While the world was on fire around us, we thought that the oceans between them and us could douse those flames. We were wrong. Oil and water doesn’t mix and those flames have made their way over the water right to our shores. There are sisters who we hear about every single day who are living in a state of fear when they step out or send their children to school. While waiting for the train, while picking up their kids, while walking the streets, they are afraid of being physically, verbally and even sexually assaulted and it is our doing. By sweeping these issues under the rug, by telling them that they are being paranoid, we have failed them. We have let our queens down, the very women who go out everyday wearing our identity. While they were being demeaned, spit on, sworn at, kicked, punched and stripped of their modesty, we convinced ourselves that things like that don’t happen in the West. We went on ignoring the growing unease among our community as well as the non-Muslims around us. We have helped in bringing this right to our doorsteps and our sanctuaries, our Mosques. While the powers that be ban our Mosques and make decisions about our future in closed-door meetings, we continue to sit idle just accepting it all without realization or any lasting change. As immigrants, some of us fled from our own countries, either from fear or for a better life, but we never thought about the mess we left behind. Now that mess, which we said was someone else’s problem, is coming back to haunt us. We didn’t migrate for Allah, we did it for Dunya (the worldly life). So the Dunya is exactly what we and our children get. It’s what we prayed and worked for isn’t it? This mess of pain, anger, fear and helplessness: this is Dunya. While we concentrated on assimilating our families into the mainstream and on the size of our bank accounts, of our houses or the cars we drove, we became intoxicated on this life forgetting that there is another to come. We forgot that there are others in the world who needed us to wake up, to stop chasing Dunya and change ourselves, so that they could stop being signs for us. Sadly, now there are people among us becoming the signs. How close does close have to be? We have to open our hearts and minds now and truly understand that this is not just going to get better. This does not just apply to Muslims living in the West, it is a global issue and we are all in this together. All 1.7 Billion of us. We have been in this for years and the discord has only gotten worse, not only out there, but with in our communities as well. We have spoken about the problem for far too long, it’s now time to focus on a solution. While we can appreciate all the love and outpouring of support, we have to accept that not everyone is decent and openhearted. There are many people suffering and it is easier for them to ignore their own weaknesses and put blame of their personal failures on a scapegoat. Muslims are that scapegoat these days, so thus we will be targeted as the perpetrators of their pain and shame. We have to understand, however, that if we are going to be pinned as Muslims then we should become Muslims. We should be those people of submission and true unaltered faith. The days of Allah are upon us. It is we who will decide where we stand. We only harm ourselves with our straying moral compasses and the constant compromising of our faith and values. Ask any recent revert and they will tell you the reason they came to Islam was because it represented a better way of life and freedom. True freedom, where they were liberated from the shackles of the world’s superficial judgement, pressure and oppression, where they answer to no one but Allah and adhere to only His perfect commandments. Do we feel this? Are we truly free? Something is stirring and it is all simpler than we think. If we are finally waking up and want to stand up for something, if anything, we should stand up for our Lord and in front of Him. We don’t have to keep begging for our rights and acceptance from anyone else except Him. It is what being Muslim truly means. Submit, sacrifice and receive true guidance. This is a psychological battle more than anything else and for many of us it is a steep uphill climb. It is only through the Quran and Sunnah (teachings and Prophecies of the Prophet Muhammad SAW) that we can truly understand our state and what we should do. Through studying the lives, struggles and challenges of the Prophets (AS) we can learn true submission and how to react when the odds may seem against us. Like them, the only answer for us is Islam, with all its comforts and presumed discomforts. We have to convince Allah that we are on His side and convince ourselves that only He can give us status, safety and shelter. It was Brother Usama Canon, founder of Ta’aleef Collective in California in one of his inspiring talks for his Beloved Community series (broadcast live from his Facebook page most Sundays), who said that “if we are not at the table, we are on the menu”. Only Allah can give us true honor through Islam and truly get us a seat at that table my Brothers and Sisters, until then we will continue to be on the menu for them to devour one piece at a time. We have to submit completely, be steadfast, be fair and true to one another (families who argue and slander one another are always awkward and unwelcome dinner guests) and we have to stop being so afraid. Letting go of this constant fear will make us true equals to the rest of the diners at the world’s table, Insha’Allah. Silence, idleness and conformity are forms of compliance and surrender. We must stop living in terror of judgment and persecution or of wearing our identities. We have to stop living in constant fear of the rejection of our family, friends and colleagues. We must own our voices and stop fearing the loss of our wealth, freedom and opportunities. We have to overcome the crippling fear of stepping away from non-Islamic cultural practices and ignorant innovations, because it may become a hurdle in our relations and connections. We have to stop living in terror of entering our Mosques and having to unfairly face prejudice, racism, sexism, abuse and twisted elitist attitudes, instead we have to force our way in and peacefully resist to show we are unmoved, unaffected and resilient to finally put an end to this self-deprecating mob mentality. We must stop the fear of doing good for our community in fear of being underappreciated or ignored. We must stop living in terror of speaking for justice and truth in fear of abandonment and social isolation. Whether it relates to us personally or not, we have to speak out against and stop fearing those in power and those who oppress us and others amidst accusations of disloyalty or threat of livelihood. We must stop being terrified of anyone’s hate or ignorance and begging for the undeserving to love or respect us, because we fear appearing imperfect or weak. We must stop fearing and sheltering our children from our faith and the reality of this world, we must rise up and equip them with the tools that we didn’t have to deal with the times to come. Above all, we must reject the fear that comes with being different or standing out. We have to stop giving all this power to our own insecurities and letting our oftentimes misplaced gratitude overshadow our duty to be just and responsible. We have nothing to fear in this world, but fear itself, because it is what makes us stray and compromise where there should be no room for compromise. This is the straight path; there are no tangents. Be peaceful, be patient, be gracious, be humble, be relevant…but do not fear. In the end, no matter what happens, all we will be left with are some hollow words from a few faceless people, our deeds and our compromises. With this baggage, we will have to face Allah alone to explain where we stood with Him when we were faced with desires and consequences. That’s true fear my Brothers and Sisters. It’s the only Truth for the true believer. Fear Allah. Fear His disappointment, fear even going near the acts He hates, fear losing His blessings and attention, fear Him letting you go astray, fear that our children may not even know Him as they should, fear His anger and judgment and above all fear losing His love and affection. Be grateful to Him, fear only Him and He will remove all other fear. May Allah SWA aide us in changing ourselves to please and serve Him, so that He will change our condition, may He give immense Sabr (patience) to all those families who have lost loved ones in this struggle, may He forgive all those who have gone before us and may He forgive us and our shortcomings, may He shower His Mercy upon us and show us the Truth, Ameen. Whenever I feel myself slipping or becoming sluggish about Islam and making a change, I watch this to get motivated again. A true wake up call…Alhamdulillah. This entry was posted in Diary of a Slave, Help Yourself, Uncategorized and tagged adversity, Allah, awake, believer, children, compassion, courage, death, devout, elevate, fear, God, Islam, mosque, Muhammad (PBUH), muslim men, peace, quebec, religion, rise, sacrifice, shooting, steadfast, terror, terrorism, ummah, wake up. Bookmark the permalink.